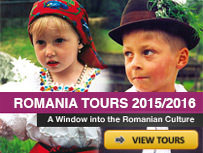 Romania is different than anything you’ve experienced before. It is a place full of mysteries and legends, where castles, fortresses and churches emphasize the beauty of the landscapes. Combination of medieval architecture and western modernism in Romania is unique and rich experience for every tourist. Romania excels in chapter accommodation. Tourists are able to accommodate in houses, pensions and in hotels to 5 star. The hosts are welcoming, friendly, always attentive to the wishes of its customers. Besides the scenery will delight you can taste culinary specialties of the region.